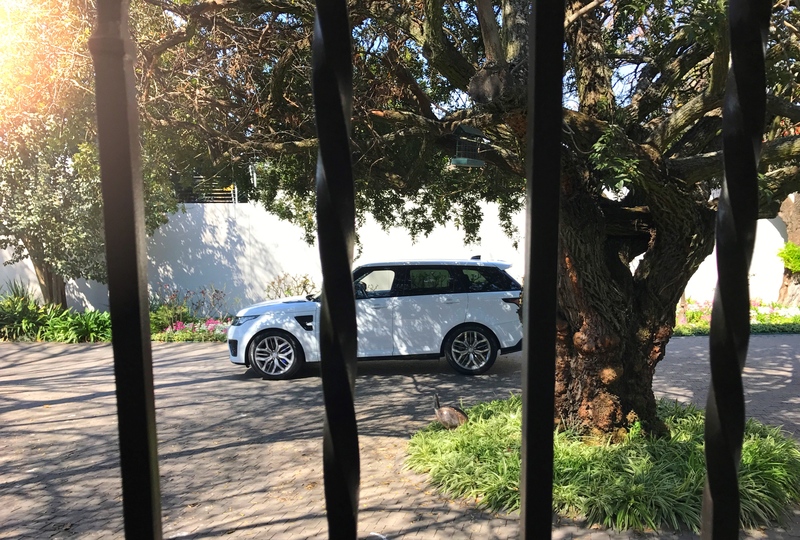 When I heard the mighty Range Rover Sport was headed for the Special Vehicle Operations facility to turn it into a SVR version my heart skipped a beat as I knew it would be something epic and after driving it I can confirm that they have made one of the most addictive vehicles money can buy. As usual let’s chat about the styling. 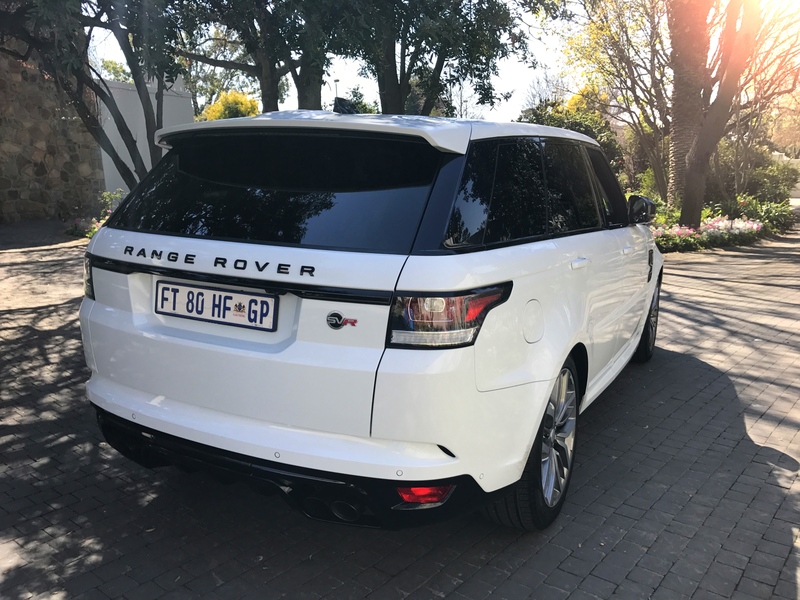 If you are not aware about the SVR version, you would think it is a regular Range Rover. 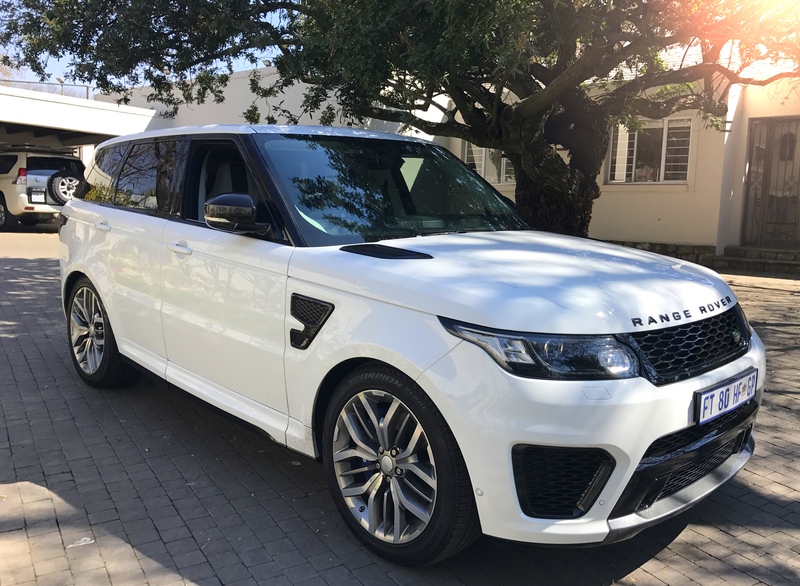 Besides the SVR badging, the styling identifiers consist of enlarged front air intakes on a revised front bumper, new black grilles on the nose, bonnet and front wings, a new roof spoiler and a rear valance that includes a rear diffuser and quad tailpipes. When taking a look at all these changes nothing is completely stands out but when put together in this package, it creates on menacing looking SUV. What is different with the SVR model? Well for starters the 5.0-litre supercharged V8 has been tuned to pump out 542 horsepower (405 kW) and 680 Nm of torque which is the same engine in the crazy Jaguar F-Type R Coupe. The driveline remains mostly unaltered but new electronic controls for the eight-speed automatic transmission deliver faster shifts which are properly rapid. Inside the SVR differences are minimal but where you immediately pick up a sporty change are the deeply sculpted seats. These seats are not just reserved for front-seat occupants either. Open the back door and you will find rear passengers get the same look to their chairs, right down to the holes for harnesses that will never be fitted. 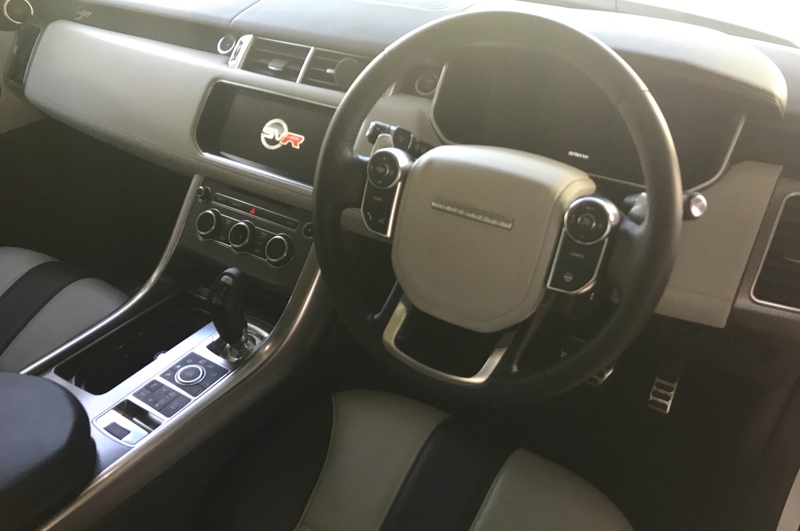 The list of standard equipment is lengthy but to give you a simple outline, it has all the bits from a Range Rover Sport Autobiography Dynamic plus the darkened headlights, exterior gloss black trim, a specially-made rear spoiler, a quad-exhaust system, an aggressive bodykit, blue Brembo brakes, heated seats all round and perforated Oxford leather upholstery. So how is it to drive? Well it is something I wish everyone could experience because you can drive it slowly and comfortably with the quad pipes burbling gently behind you or you can have all the drama one can handle with the god of thunder screaming out the back. Considering I was testing it’s performance I rarely drove it gently which obviously impacted the fuel economy. I am not going to blab on about the fuel consumption because we know it is a lot. It is a 2.3 ton beast being hurtled to the horizon by a massive 5.0-litre V8. There is no launch control system on the SVR but to be completely honest, you do not need one. All four wheels are driven so getting off the line is a breeze and a neck snapping breeze if you bury your foot in Sport mode. The cacophony of noise that exits those four pipes at the back is more than enough to make your hair stand on end and it eggs you on to go faster and flick through more gears to hear the pops and crackles you get used to. If you do get the chance to drive one, make sure to test out the giggle gear which is 2nd gear. Pop it into 2nd accelerate a bit and tap off the gas and you will be treated to pops and sometimes loud cracks which will instantly make you laugh. I found myself laughing more in this car than a Huracan because a big SUV is not meant to make this type of noise. 0 to 100 km/h is claimed at 4.7 seconds but I think in the right conditions, you could better that by 0.2 of a second. Top speed if you want to head that way its 260 km/h and although we did not test this top speed, we bet that it is a as comfortable as doing 120 km/h. This car has the potential to get you into a lot of trouble as you are not aware of your speed on the highways thanks to it’s size and sheer comfort level. If you have the exhaust valves open (who wouldn’t), then the V8 does give you a gentle reminder that you are picking up speed but if the valves happened to be closed, you will be very surprised when you look down at the crisp digital speedometer. Base price is R2,080,100 which is a fair chunk of change but if I was looking for a daily to satisfy my need for comfort and performance, this would be right up there. I thought my love and long lasting impression of the BMW X6 M would not let this car take a piece of my soul but it has bumped the German aside and is sitting right next to it.